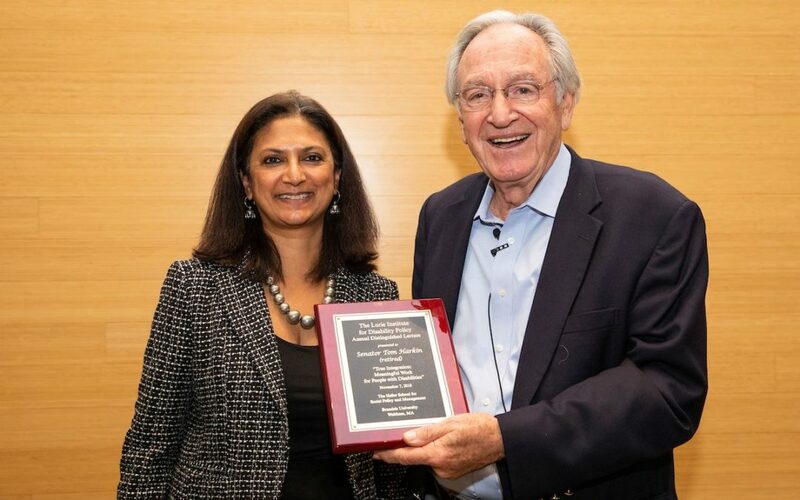 Senator Tom Harkin (retired) delivered the Annual Distinguished Lurie Lecture at the Lurie Institute for Disability Policy at Brandeis University on November 7. Senator Harkin’s speech focused on True Integration: Meaningful Work for People with Disabilities. Watch video of the speech on the Lurie Institute Facebook page.